In recent years, Tibetan mastiffs (do-khyi, aka home-dog, guard-dog) have grown popular in cities as domestic pets. Thieves looking for quick profit have been stealing them from the villagers, tying them to motorcycles and speeding off into the night. If the dog is going to get stolen anyway, why not sell it first? 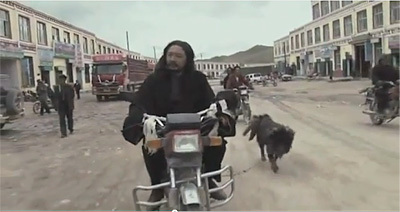 A disobedient son sneaks the dog past his father and rides into town, ready to bargain. On the surface, the film Old Dog (2011) is centered around the question: to sell or not to sell. I caught the film at a screening organized by NYU and Reel China, a festival dedicated to showcasing both novice and professional filmmakers from China. Reel China focuses on independent films that document the pace of a changing contemporary China. 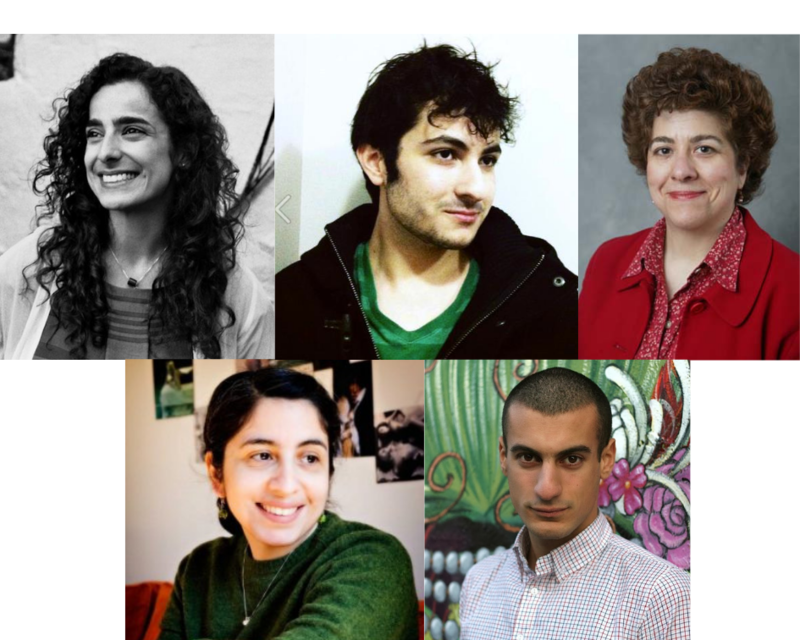 This year marked its fifth exhibition. 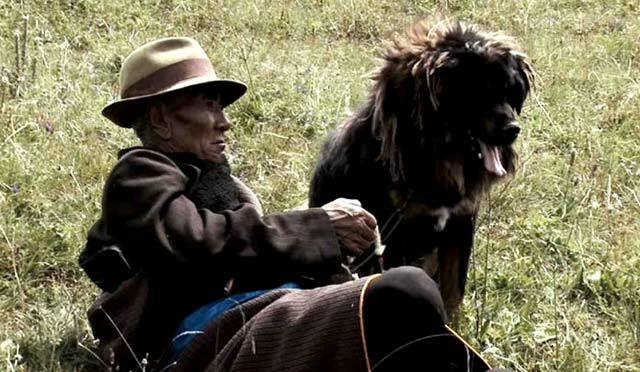 Pema Tseden (or Wanma Caidan in Mandarin), the Tibetan author and filmmaker who created Old Dog, admitted at a Q&A for the festival that he didn’t usually go to his own screenings; he preferred to “hear the reactions of the audience” rather than prescribe interpretation. 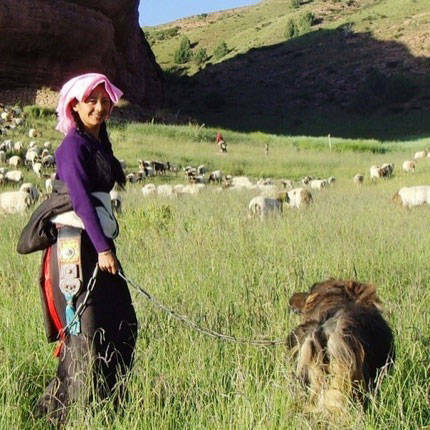 When prompted, however, Tseden offered up two phrases: “spiritual suicide” and “everything has changed.” Spiritual suicide references the difficult decisions one must make in contemporary Tibetan society. 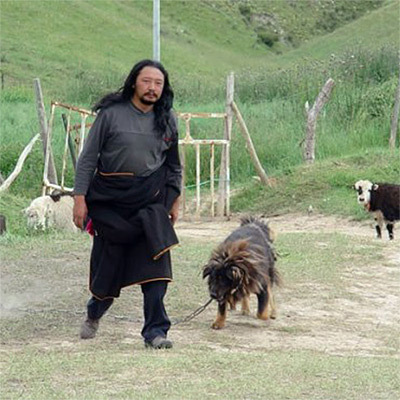 Tseden directs a “non-judgemental” lens on the historical “purity” (淳朴 or Chunpu) of Tibetan life, contrasting this purity with the “changes” (变化 or Bianhua) of the 21st century. He avoids the tag “modernization”—a phrase he considers to be a little heavy-handed—and instead takes a more neutral approach. Halfway through Old Dog, the audience is subjected to an infomercial promoting a gold necklace “that is ten times stronger than real gold, for a fifth of the price!” This absurd hawking from a high-pitched, fast-talking salesgirl blasts from a static-heavy, 17-inch TV, dragging on for minutes. This is another fragment of daily Tibetan life which Tseden observes but doesn’t blatantly criticize. 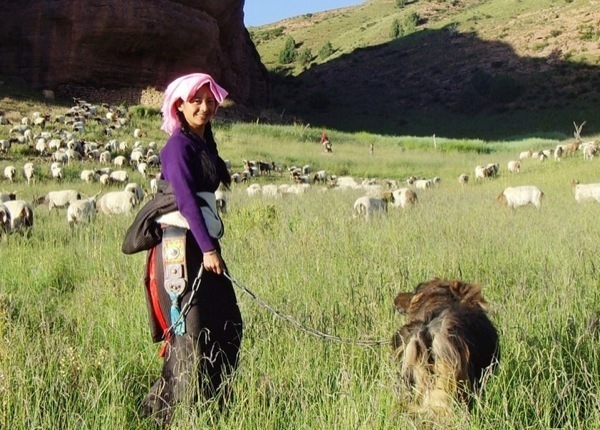 Tseden grew up Buddhist, so it’s no surprise that its teachings permeate his work. Long pauses, subtle gestures, and a generally slower pace create the reflective ambiance for which he is known. 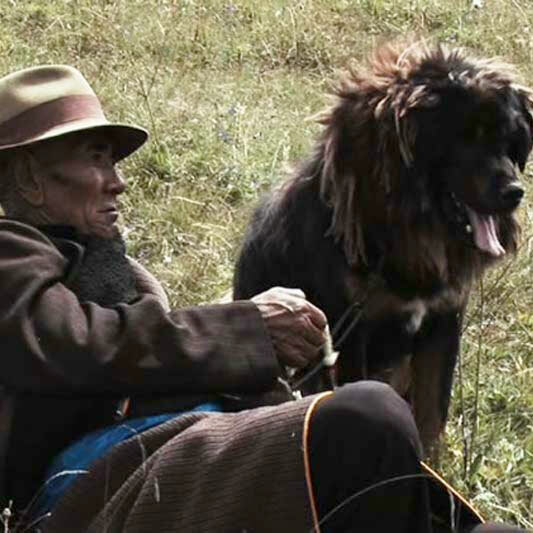 Tseden’s films are strewn with impeccably composed shots of the Tibetan landscape. He manages to capture the pace of this specific geography (环境 Huanjing). The pace induced a kind of trance, like I had been transplanted to a place wherein time operated differently. Tseden limits complex camera movements, instead allowing for scenes to play out and speak for themselves. 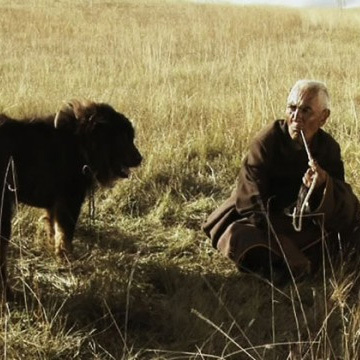 In response to an audience member who asked why Tseden didn’t use close-up shots in Old Dog, he said he deliberately chose not to focus on emotive states. He instead wanted to emphasize the environment by using wide-angle long shots. The sounds of background construction are a constant hum in Old Dog. Tseden acknowledged that this was a deliberate tactic, explaining that “at first, it was annoying” but towards the end, the sound guy stayed an extra two weeks behind to record most of the sounds in order to reinforce their presence. 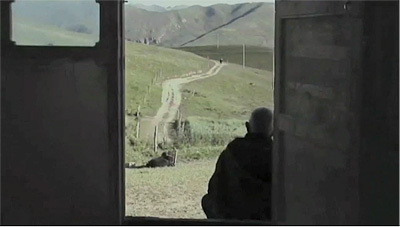 He’s interested in an “embodied experience of Tibetan realism” (现场 Xianchang). In line with this idea, Tseden doesn’t hire professional actors, partly because there is a dearth in the Amdo region, but also because professional actors come with a professional attitude, which he seeks to avoid. Tseden concluded the Q&A by saying that he believes there will be more “urban Tibetan films” in the future, especially ones originating from the capital, Lhasa. 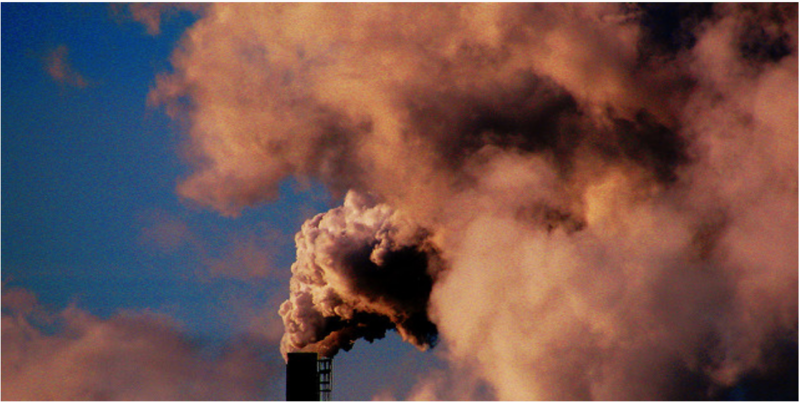 Other cities, he said, may need “another 20 to 30 years” before the urban generation feels genuine. 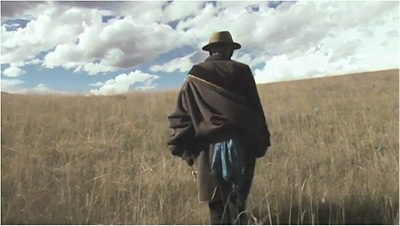 On November 15, Trace Foundation will be hosting a screening of Tseden’s 2004 film The Weatherman’s Legacy. 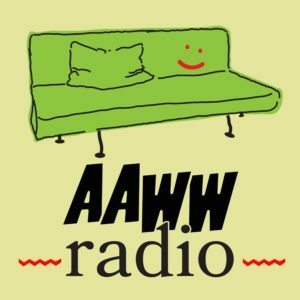 Tingting Wei is an editorial intern at the Asian American Writers' Workshop.